DigiCommerce provides amazon boost services to their clients that help to increase sales via Account health management, listing, promotion etc. DigiCommerce Solutions plays a role as a third party service provides to amazon sellers with an aim to simplify online selling. As a seller, you can use this service to manage key Seller Central operations through a service provider. DigiCommerce Solutions Helping you to manage inventory price & quantity refresh, new product listing, order confirmations, FBA shipment creations, shipment label generation. 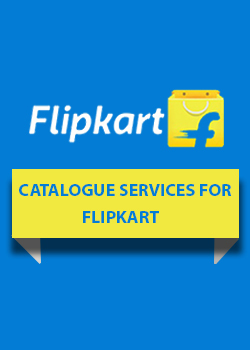 We helping you configure inbuilt promotions along with lightning deals. We helping you increase sales through sponsored products, help with FBA account creation & new category expansion. 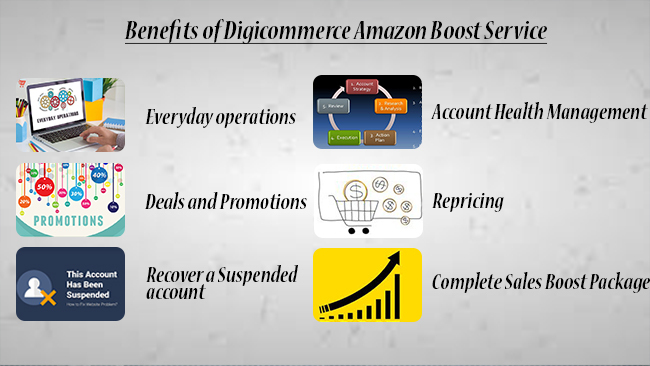 DigiCommerce and its Amazon boost service implementation provide a variety of benefits for clients. Some of these Amazon boost service benefits are enumerated below. It is important to keep inventory updated and show products that are available with current prices and other details so that buyers have up to date information. DigiCommerce Amazon boost service helps to manage the inventory, price, quantity and product listing as well as order confirmations and shipment tracking including shipping label generation. With DigiCommerce handling these matters, you are free to focus on growing business. Handling an online store is not easy. This becomes tougher if you have a dozen and more products in one category or in different categories. Online sellers must keep their pages refreshed to show which products are in stock, indicate quantity available and keep the pages current each day. If sellers do not keep pages refreshed with up to date information and if buyer experiences frustration, he is likely to leave and go to another seller. Prices must also be updated upwards or downwards depending on your purchase prices and competition. Orders must be executed with minimum time lag and labels generated for packing. Our professionals take care of all these everyday activities. DigiCommerce Amazon Boost Service handles a very important aspect of your store on Amazon. That is account health management. This involves analysis of customer activity and behavior to know what they think of your store and your conversion rate among other metrics. We also take care of customer communication so that they feel engaged and better served. Our team also handles matters such as returns, refunds, replacement and managing customer feedback for a positive image. Growing sales and revenues is a prime consideration for DigiCommerce. Our experts will find out ways to implement various promotions and deals on your storefront such as bundled offers, vouchers and coupons so that you can sell more and have more loyal customers. Apart from this we also help you take part in Lightning deals from time to time to clear off stocks. The result is fast turnover and higher profits. Our professionals analyze prices and movements of your products and if a product does not sell more we analyze causes, consider prices of competition and reprice products so that you can clear off dead inventory. Your money does not remain blocked and we help generate profits.